In this life, we all deserve to Thrive. There is virtually no limitation to this idea, aside from your own beliefs and the work you want to put in. There simply is NO easy button in life. However, we get by with a little help from our friends, to copy the iconic lyric. And we are here to support and encourage you from the pharmacy side in a way you have never experienced before. We each have experienced the highs and lows of life. But we didn't get stuck in the mud. We reached out for help. We are offering a unique opportunity to really get engaged in life. We know that medications are expensive. We know that for some conditions we need to humble ourselves and want to be treated with respect and dignity. So we have answered with an unreal never-before-seen pharmacy location which excites your awareness that we are serious about encouraging you. We are also compounding affordable medications with unique flavors and colors for some very specific conditions. And we are going to offer other services (encouragement, counseling, and prayer) as desired. It is then your responsibility to become an active participant in your life and to do what is necessary to make the best life possible. We want to be part of your growth and development. Please come visit our location to experience the difference and to meet us and ask questions. Our list of participating providers is growing. This is a unique concept pharmacy. The product names have been trademarked and are specific to the compound formulations by Thrive pharmacy (made with 100% pure ingredients thus able to be made specifically, locally, and cost effective). If you and your provider choose our pharmacy, then the prescriptions must be filled here as there is no equivalent elsewhere and cannot be recognized by other pharmacies. This may also save you more than $10,000 (so certainly the time and effort are worth it). If you choose to use your own doctor who is authorized to write the prescription (opiate addiction requires a special authorization), then find on the PDF tab (under "resources") the correct sheet to bring to your doctor to discuss. Otherwise, our list of providers by specialty shall be growing as more become aware. Please be aware our list is only a referral list and no other consideration is given other than a collaborative effort to help you thrive and become the best you. If you are a provider interested in being on this list, find our link at the bottom of the home page and we will gladly list your practice/website link so patients can find you. You may also have questions about seeking further treatment options (support meetings, recovery centers, therapists). You may find information about these services under the "resources" tab or upon request in-store. You will be responsible for setting the appointment and following through. We are only the pharmacy and have no prescribing authority. Your provider may give you a "hard-copy" prescription, or they may fax or e-scribe the prescription. If you are new to our system, we will collect more data when you arrive, or you may call us. Some of you do not live in the area. We have an ability to have this shipped (UPS or FedEx) to you for next-day delivery for a nominal cost (signature required). Please call us to discuss these options. We can send refill requests as needed, but you need to discuss with your provider any required follow-up and or testing required for them to continue prescribing. Filling/Dispensing includes all of the steps necessary to translate a medication order (prescription) into an individualized medication supply that is both safe and appropriate. Step 1: You will be asked a few short questions. We will require a government issued photo ID and insurance information for this will allow our staff to enter the correct/current information into your profile. If you want another authorized representative to pick up the medication on your behalf, please fill out a form in the pharmacy and have them present with you and their ID the first time. We will scan the info into your profile. You must request us to remove this authorization once you have submitted it. Please be aware that compounds as a general rule are not covered by insurance companies. We are certainly willing to try; as some plans may. The cash price is set to be "affordable". Also, we will carry non-compounded prescriptions that may be covered by insurance. Discount Cards will not work unless it is a manufacturer coupon specific for the product. Please ask our staff if you have further questions. Step 2: A Pharmacist/Pharmacy Technician will enter the prescription into your profile, checking the: doctor's information, medication/dose, indications from the prescriber, and quantity of the script. Step 3: The medication will be scanned and packaged with the Lot and Expiration. The medication is then dispensed for the designated quantity, labeled and handed off to the pharmacist to be checked. Step 4: The pharmacist will perform a check of your medication, reviewing previous usage (if any), and information entered at the beginning work station. They also print off counseling documents to provide the patient with more information on the medication. Step 5: The patient will pick up their medication and have a conversation with the pharmacist to ensure proper communication and compliance. We have a secluded "encouragement, counseling, and prayer" area for those wishing to have a private conversation. NOTE: We are able to ship (overnight delivery) of your medication to any Florida location (signature required) for a minimal fee. Please call us if you are interested in this option. Iron sharpens Iron. Sleeping with dogs may only get you fleas. We know what this means. For opiate addiction and alcoholism, left to your own mind and devices, you won't get very far (as evidenced by how you ended up here). There are many supportive communities that are built upon foundations of shared experience, trust, and support. Many of them are absolutely no cost to you. And you may find a lifetime of friendships and support from those you meet. The best recipe of success for overcoming addiction is a combination of medication assisted treatment and support groups/therapy. It is known that the brain takes up to 2 years to heal after quitting drugs and alcohol. You must give yourself permission to make the necessary time to find a supportive network and to regularly attend. In the same way that going to the gym on January 1 doesn't cover you for the year, neither does attending only one meeting. 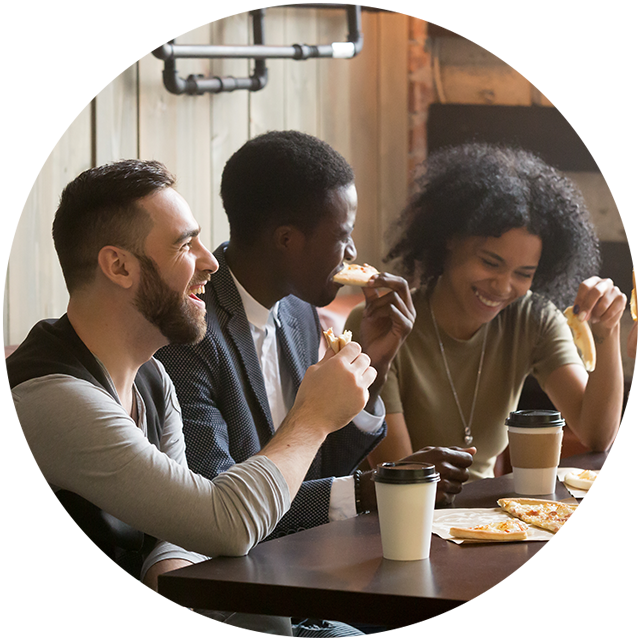 The three most common meetings are Celebrate Recovery (CR) (a Christ-centered meeting built on the tenents of the steps of Alcoholics Anonymous), Alcoholics Anonymous (AA), and Narcotics Anonymous (NA). Some providers hold their own meetings at their practice location. Regardless of which feels most right for you, just do it. It is the best part of a recovery program that gives you the tools and encouragement to make a total lifestyle change with the support of others. There are even supportive on-line/social media communities. 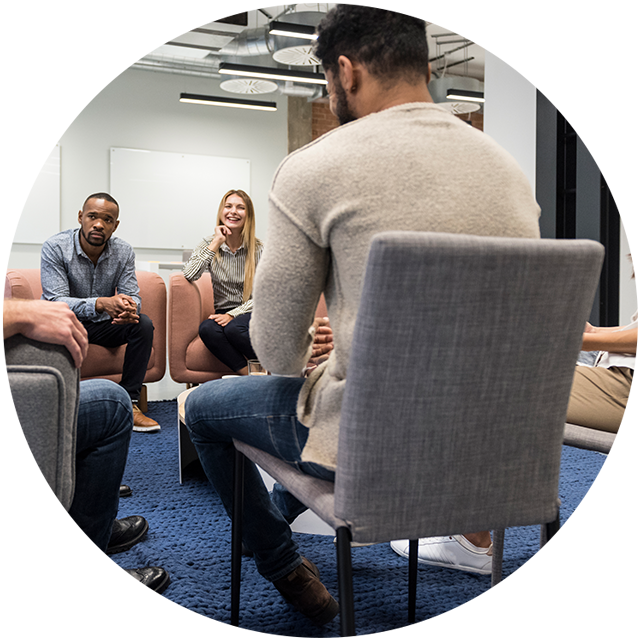 Check our resources tab for links to these group meetings and locations (addiction resource guide and community information). When your provider writes a prescription, he or she will designate the number of refills your pharmacy can give you. If you have refills available, you may call them in or use our app (please note these will not be filled more than 48 to 72 hours early based on last fill and dosing directions; talk to us if a situation arises where you need your refills earlier). New prescriptions will produce a new prescription number and must be presented to us or sent by the doctor's office. When all of the refills have been used, you need a new prescription or prescription renewal. You can request a prescription renewal by contacting your pharmacy and they will send a renewal request to your provider for most medications. You may also contact your provider for a new presciption as well (to have it sent to your pharmacy). Please be aware of the provider's requirements for follow-up and continued care. * Health: overcoming or managing one's disease(s) as well as living in a physically and emotionally healthy way. * Home: a stable and safe place to live. * Community: relationships and social networks that foster friendship, support, love and hope. After the fog clears and you get some time under your belt, you can really see that living life on life's terms substance-free is totally doable and amazing. But we only live one day at a time. So focus on what you need to do today to have the best chance for success. Make sure your peer group is supportive. Have meaningful and important discussions inspired by what you are learning in your support groups. Don't make any drastic changes unless your health and safety require such. Maintain a healthy diet. Re-discover what makes you enjoy life. Find a local church and get plugged into a community that knows you beyond simply liking a post on Facebook. Remember, the most important person on your journey is you. If God can forgive you, so can you.